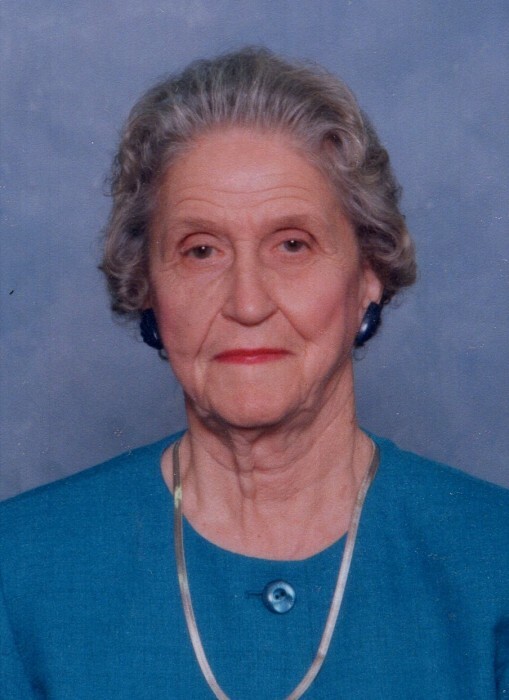 Edith Holmes Petty, Age 94, of Clover, SC, passed away Sunday, August 26, 2018 at home. Funeral service will be 11:00 a.m. Wednesday, August 29, 2018 at Crowders Creek A. R. P. Church with the Rev. Stuart Fowler and Rev. James Gable officiating. Interment will be in the Church cemetery. The family will receive friends from 6:00 – 8:00 p.m. Tuesday at M. L. Ford & Sons Funeral Home, 209 N. Main St., Clover. Mrs. Petty was born October 13, 1923 in Edgefield, SC to the late Cornelius Vanderbilt and Mattilee Schenks Holmes. She was retired from the United States Postal Service and was preceded in death by her husband, Edgar Grier Petty and eight sisters. Survivors are her sons Edgar Grier Petty, Jr. and Ray C. Petty (Teresa) both of Clover, SC; grandchildren Ashley Shrader (Justin) and John Petty (Kaylan). Memorials may be made to Crowders Creek A.R.P. Church, 207 Crowders Creek Road, Gastonia, NC 28052.